The California Highway Patrol on Thursday arrested a suspect in a San Jose freeway shooting that injured a 17-year-old boy last month. 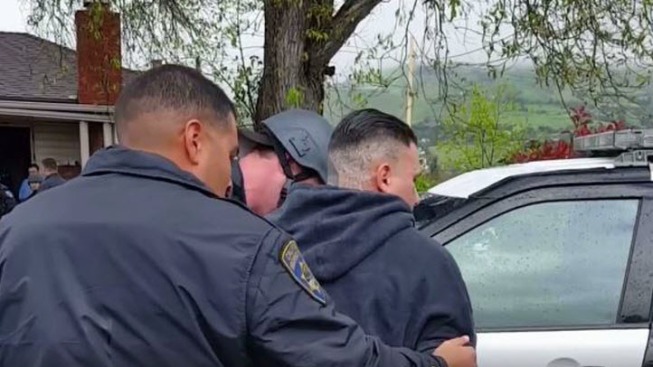 Jose Luis Blanco, 33, was arrested at his home in unincorporated San Jose on suspicion of attempted murder, shooting at an occupied vehicle, assault with a deadly weapon and possession of a controlled substance, according to the CHP. Two firearms and methamphetamine were found in a search of his home. Blanco was arrested in connection with a March 16 shooting on northbound Highway 101 that occurred around 6:45 p.m. near Story Road. A 17-year-old boy in the front passenger seat of a car was struck by bullets in the face and back when shots were fired from another vehicle. The shooting was investigated as gang-related, CHP officials said in March. Anyone who witnesses a shooting or other crime on the freeway is asked to call 911. Anyone with information about this or other crimes is asked to call (800) TELL-CHP.